Africa has long been regarded as the ultimate destination – a cradle of humanity – that offers some of the most rewarding experiences that any discerning traveller could wish for. In Tanzania, Zanzibar and Kenya the Elewana Collection is a bespoke collection of camps, lodges and boutique beach hotels that have been carefully selected for their unique accommodations and iconic locations to provide unparalleled African wildlife-viewing and beach holiday opportunities with an emphasis on stylish and luxurious comfort. Meaning harmony or understanding in Kiswahili, the name alludes to the balance between all the elements expected in today’s sophisticated travel and tourism market. The Elewana Collection comprises: Arusha Coffee Lodge, cradled in the endless acres of one of Tanzania’s largest coffee plantations; Tarangire Treetops, with its unique tree house style rooms built on wooden decks around the trunks of enormous Baobab and Marula trees; Serengeti Migration Camp and Serengeti Pioneer Camp located in the Serengeti National Park, a UNESCO World Heritage site and one of the continent’s largest ecosystems; and The Manor at Ngorongoro, located adjacent to the world famous Ngorongoro Conservation Area. 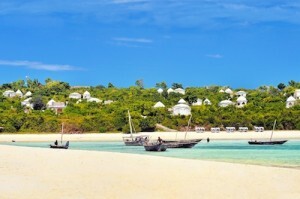 In the neighbouring Kenya and Zanzibar, two boutique beach escapes – AfroChic Diani Beach and Kilindi Zanzibar – complete the indulgently luxurious collection with hotels that are as unique in character and design as their idyllic locales. Arusha Coffee Lodge offers an aromatic and sensory experience at the start or end of the Elewana Collection journey, promising a comprehensive immersion in Tanzania’s cultural, historical and topographical diversity. 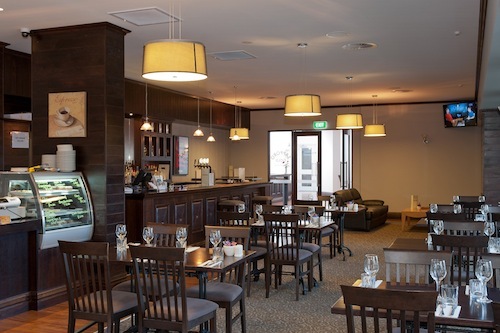 Located at the base of the volcanic Mount Meru a mere five-minute drive from Arusha Airport (ARK) in northern Tanzania, exhilarating glimpses into the region’s bygone coffee rituals unfold in sublime comfort the minute guests set foot on one of the country’s largest coffee plantations. Comprising of 30 Plantation Houses – including twelve Plantation Suites – that overlook berry-laden coffee bushes in evergreen coffee fields, Arusha Coffee Lodge has been designed around the original landowner’s early 20th-century home. Nearby excursions include a visit to a Masai market, the Museum of Natural History and Tanzanite Experience in Arusha and a day game drive with picnic lunch to Mount Meru and the Arusha National Park. Guests can also learn about coffee harvesting and roasting and sample Tanzania’s finest organic roast at the Lodge. 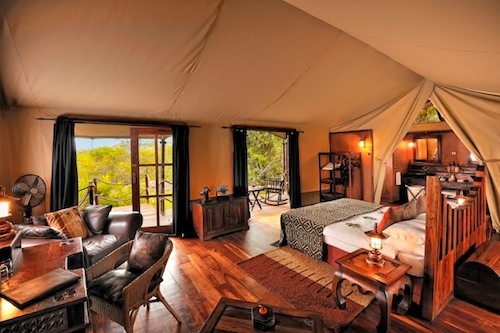 Tarangire Treetops occupies a serene spot in a private game reserve bordering the Tarangire National Park southwest of Arusha and south of the open grass plains of southern Maasailand. Centred around a thousand-year-old Baobab tree, the retreat invites safari goers to luxurious new heights for a lavish stay with magnificent views of the Tarangire plains, just as the name suggests, in the treetops. 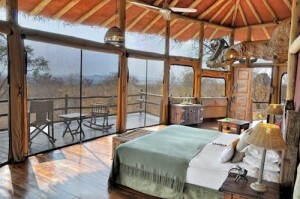 Here 20 luxuriously appointed elevated guest rooms, some of which are built in the trees, afford unrivalled vistas of the largest herds of elephants on the continent and over 550 bird species amid rolling, Baobab studded hills with views to Lake Manyara and the Rift Valley wall. Guest can live the safari dream with day game drives in the Tarangire National Park, set out into the mystical night for astonishing wildlife encounters under a starlit African sky, or enjoy guided walking safaris. A visit to a nearby authentic Masai village affords a glimpse into this fascinating tribe’s daily life. At the starting point of the Serengeti Migration, the greatest wildlife spectacle on the planet, the award winning Serengeti Migration Camp provides 20 luxuriously appointed tents that blend seamlessly with the surrounding rocky outcrops. Set in a colonial milieu overlooking vast and rugged landscapes, the camp exudes decadence reminiscent of African high society life in days gone by. A mere 30 metres away the Grumeti River is home to a pod of hippos which can be observed in their natural habitat from the safety of a bough that hangs over the river. The Serengeti Pioneer Camp in south central Serengeti, the latest addition to the Elewana Collection, offers additional access to the annual animal migration, along with sweeping views of Moru Kopjes, Lake Magadi and the majestic plains. 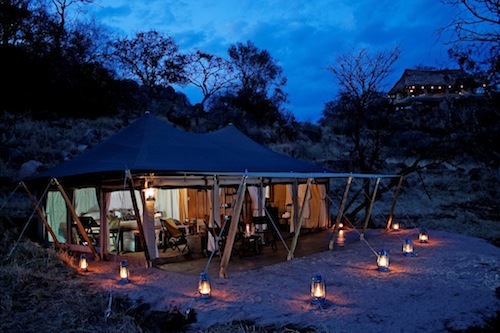 Comprising of ten tented accommodations that pay homage to the adventurous mobile camps of the 1930’s, a time when an African safari was truly a journey into the unknown, the camp’s zero footprint and close proximity to nature combines to make an unmistakably distinctive and individual offering. By combining Serengeti Migration Camp with that of Serengeti Pioneer Camp it is now possible to cover up to 90 percent of the Serengeti, thereby ensuring exemplary and unfettered access to the famed annual migration. As a consequence the two camps are able to both track and then share knowledge of the migration’s exact location, thus maximising that all-important game viewing time. In the hills south of the Ngorongoro Crater stands The Manor at Ngorongoro, one of the first safari lodges to blend East African hospitality with old-world Afro-European architecture and decor. Part of a huge coffee estate, The Manor is inspired by elegant Cape Dutch-style farm homes and offers the perfect grandiose rest stop on the safari trial. With 20 spacious cottages – including a three-bedroom, double storey Stable Cottage – and a magnificent manor house, The Manor evokes memories of an elegant upcountry farm house with cottages that have been carefully positioned to maximise the views of the adjacent verdant hills, whilst maintaining the intentional intimacy and privacy of this old world homestead. At The Manor the wildlife spectacular that is Africa is just a short while away but, for those who prefer to marvel in blissful tranquillity and relaxation, horseback riding, bicycle trails and coffee processing tours on the estate offer a welcome respite. Day excursions to a nearby Masai market, Lake Manyara or the Olduvai Gorge are also on offer. 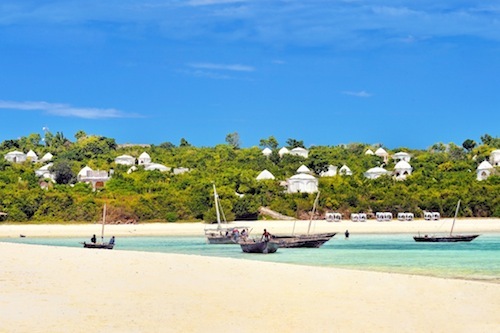 Located on the north-west coast of Zanzibar, a semi-autonomous archipelago off Tanzania’s Indian Ocean coast, and lying adjacent to the clear turquoise waters of the sparkling ocean, is the extraordinary and mesmerising Kilindi Zanzibar. 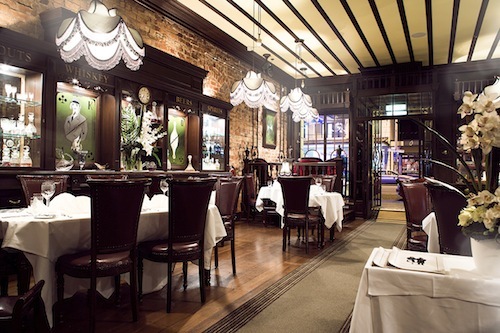 A rarity in the world of luxury boutique hotels, the fifteen room haven was originally designed for Benny Andersson, one of the members of 1980’s pop sensation ABBA. The concept behind the extraordinary design is that of Scandinavian minimalism mixed with the dramatic overtones evident in Middle Eastern architecture. Here white wooden slatted shutters embrace wide arched glassless windows that afford spectacular views – not one glass panel can be found on the property. South of Mombasa on Kenya’s coast, one of the world’s most beautiful beaches is graced by AfroChic Diani Beach, an exclusive, intimate hotel with only ten rooms decorated in a unique, eclectic style. Situated on the white sands, AfroChic dazzles with views of exotic, ancient dhows in full sail. The graceful curve of the Diani shoreline tempts all to walk in the warm shallows along the edge of the African continent and for those who prefer greener pastures an eighteen-hole championship golf course is moments away. Local boutiques, spas, craft markets and day trips to Shimba Hills Reserve and Mwaluganie Elephant Sanctuary add to the Kenyan costal experience. SkySafari by Elewana, an exclusive all-inclusive package, offers the ultimate luxury African safari experience. Travelling in style onboard an executive class Grand Cessna Caravan airplane between the parks and conservation areas in the air and in custom fitted Safari Land Cruisers on the ground, the seven-night, eight-day journey takes guest across Northern Tanzania’s most iconic locations with accommodation at four Elewana Collection lodges and camps. A SkySafari Plus option offers travellers a custom-made package with additional nights at their favourite safari sanctuary or on the tropical island of Zanzibar to relax and unwind at the bespoke Kilindi Zanzibar beach boutique hotel. The packages include all private flights between the Elewana Collection properties and private airport transfers, accommodation, laundry, meals, drinks, game drives and bush walks.